Now, with the help of Indigenous guide Aunty Rev. Patricia Courtney, the dreamed journey has become an SDI journey: "Dreamtime- A Shared Storytelling Experience" - Mossman Gorge - NW Queensland, Australia - July 5-12, 2020. At the heart of Indigenous culture are stories. Oral stories that are sung or told to each other and passed down through the generations. We, in the west, are just beginning to see the depth and longevity of these stories. They are not just creation stories explaining why the emu does not fly or how the rainbow lorikeet got its colours but they tell of the arrival of the white man and even go as far back as the melting of the last ice age. Stories are also grounded in the natural landscape. The history of a tribe is laid down upon a stone, a termite mound or a copse of trees and recited as people move through country. It is this captivation with story that sparked the dream for this journey for Diane and Kristen. They see this journey as an opportunity to explore our own stories as we bear witness to these ancient stories, to see how our stories are mirrored in the Indigenous stories. As co-facilitators with Aunty Rev. Patricia, Diane and Kristen are eager to share with you their deep passion for narrative and its intersection with spiritual direction. They envisage that all those on the journey will learn to see their stories in new ways as they view them through the lens of this different cultural perspective. As spiritual companions, the guides for this journey have been inspired by the indigenous practice of ‘Daderri’ - a way of deep listening to deep, of connecting and communicating with the landscape, to each other and to God. They hope all those on the journey will increase their capacity to listen deeply and expand our understanding of what it means to listen deeply. The area around Cairns is the confluence of two great World Heritage areas of the Great Barrier Reef and the Daintree Rainforest. It is a stunning and breathtaking landscape in which to set the journey, with time spent in Cairns as well as a trip further north to spend two nights in a rainforest setting. We are mindful of not crowding in the days, leaving plenty of room to savour this landscape, allow it to speak to participants, to inspire, heal and transform. Kristen, Diane and Aunty Rev. Patricia, all hope you can join them on this journey into ancient stories and beautiful landscapes. 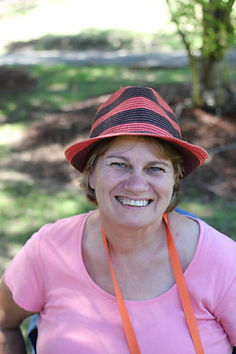 Aunty Rev Patricia Courtenay belongs to the Gurang Gurang (near Bundaberg) and Birri (near Townsville) traditional lands and peoples, and also has English, Irish and French ancestry. Tricia was born and raised in Rockhampton and Keppel Sands communities of Central Queensland. In 2008, she was ordained as a Priest within the Anglican Diocese of North Queensland. Tricia holds a Master of Social Administration and a Master of Theological Studies. Her current doctoral studies are with the Australian Catholic University researching the topic ‘Aboriginal Spirituality in a Christian Context’. Diane Millis, PhD, is an inspirational speaker, author, teacher, facilitator and spiritual director. Diane holds a B.A. and M.A. in Communication Studies and a Ph.D. in Family Studies. 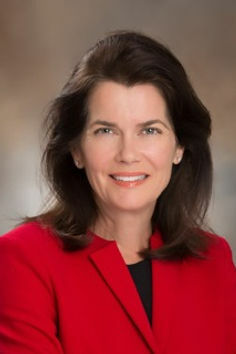 Since completing her doctorate, she has studied theology and trained in spiritual direction, retreat direction, and the practice of interfaith dialogue. She currently teaches at United Theological Seminary of the Twin Cities.